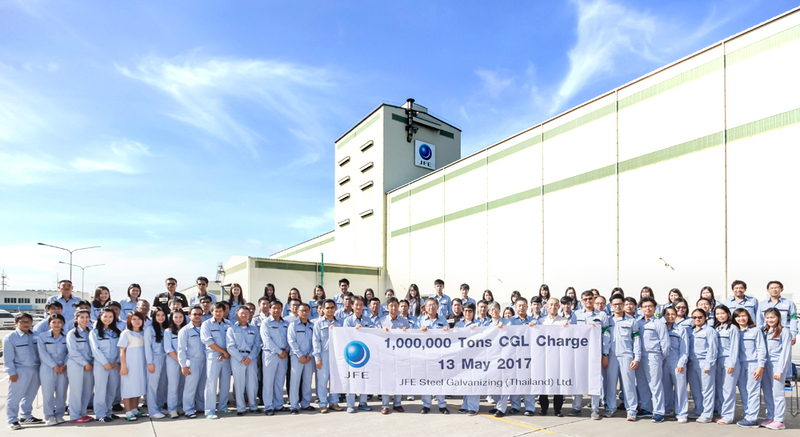 we reached the charging volume of the million tons on 13th May 2017. The achievement stem from our work environment constructed from all of our efforts of both Thai and Japanese employees imparting and sharing wisdom in technology towards each other, stabilizing the condition of machinery so our products become greatly satisfactory to our customers. This success realized from our determined spirit in producing steel sheets all through this very four years. Finally, the first million ton is ours to conquer and succeed in.